Investors considering the best stocks to buy 2016 don't need to worry about closely following the major indexes. So far this year, the broad markets are not doing well. Complacence early in May that the Fed was unlikely to raise interest rates in the near term gave way recently to fears that tightening could happen sooner rather than later. Earnings season was mixed, with bellwethers like Apple Inc. (Nasdaq: AAPL) and Walt Disney Co. (NYSE: DIS) turning in disappointing earnings that sent their stock prices into a slide. Year to date, both the Dow Jones Industrial Average and Nasdaq are lackluster. The Dow is up 2.5%, and the Nasdaq down 2.1%. The S&P 500 is up 2.4%. Yet while investors need to know the trends in the broader market, they should also bear in mind that there are always winners in any market. And the best stocks to buy for 2016 don't rely solely on the broader market's performance to be successful investments. In fact, the best stocks to buy shake off market weakness over the long term. One crucial way to find best stocks to buy in 2016 is to focus on trends and news, and explore what stocks will ride those trends to outperformance. We have two top stocks to buy now. One is a well-known big-cap stock that, despite all its strengths, is underrated right now by the crowd. Another is one you might not have heard of, but it's poised to benefit from a "tsunami" of spending this year. One of the big pieces of news on AAPL recently has been the interest of several legendary investors. 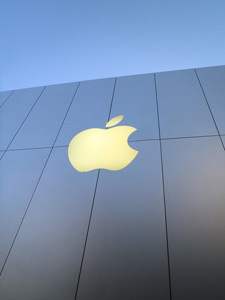 Warren Buffett announced last week that his Berkshire Hathaway Inc. (NYSE: BRK.A, BRK.B) bought $1 billion of Apple. George Soros of Soros Fund Management bought more than 3,000 shares in Apple – not as large as a $1 billion stake, but still a significant sign that the recent beating AAPL stock has taken doesn't have these investors worried. Finally, David Einhorn of Greenlight Capital raised his stake by more than 30%, to 8.2 million shares. Those are strong votes of confidence that Apple is just temporarily down – and definitely not out. Apple has major strength in its cash position, with more than $200 billion available to the company. Money Morning Chief Investment Strategist Keith Fitz-Gerald points out that this much cash is enough to keep the company's dividend steady into the long term even if the company achieves no growth. And both Fitz-Gerald and Money Morning Director of Technology & Venture Capital Michael A. Robinson expect growth ahead. More on that in a minute. Fitz-Gerald believes that a partnership with Yahoo! Inc. (Nasdaq: YHOO) might be ahead for AAPL. Why? Well, the company needs services to maintain its growth. Its competitors, like Alphabet Inc. (Nasdaq: GOOG) and Microsoft Corp. (Nasdaq: MSFT), have services like search engines (Google, Bing) and email (Gmail, Hotmail). Services are a high-margin business that AAPL has not had in the past. Yahoo does have services. It is one of the top three, ranking behind only Google and Facebook. In fact, it's nearly tied with Facebook, at 204 million unique visitors and viewers versus Facebook's 206 million. Apple could integrate Yahoo into its products. Some integration exists already: The stock quotes and data for Apple's Siri come from Yahoo, and up to two years ago, Yahoo was the default weather app on iPhones. Fitz-Gerald believes that additional integration in some form is possible and poised to drive Apple much higher. So, that's the news that makes Apple one of the best stocks to buy in 2016. Now let's look at the trends. There's no question the stock has had a troubled year. The share price has lost over 30% in the past year, and significantly underperformed a flat to slightly down market in 2016. However, Robinson points out that even its recent poor earnings report indicates iPhone sales of 51.2 million. He also doesn't share beliefs that the earnings report means that the years of stellar iPhone growth are over. There is still major international growth. First, iPhone sales in China are expected to gain robustly, based partly on the rise in consumer spending and population. Over the next four years, China's middle class will be quadrupling, with its upper-middle-class population reaching 100 million. Second, he notes that Chinese buyers are upgrading the phones they buy. There is a kind of mass conversion in upgrades when compared to this time last year. Finally, the stock simply has further to go based on its current price and Street estimates. Morningstar carries a fair value estimate for AAPL of $133 and Yahoo! Finance indicates a $126 consensus price target for a one-year horizon. Given the current share price of $99, that's at least a one-third climb in the stock price. Another one of the best stocks to buy 2016 benefits from a very different trend and a very different story. It's Gray Television Inc. (NYSE: GTN), an owner of television stations that give it roughly 9% of the total U.S. audience. That may not seem like a huge amount of the market. As Fitz-Gerald points out, though, GTN is positioned in political campaign swing states, including Wisconsin, Virginia, Ohio, and Florida. That means they are beneficiaries of what Fitz-Gerald terms a "tsunami of election-year spending" on political campaigns. It also has a strong fundamental case. 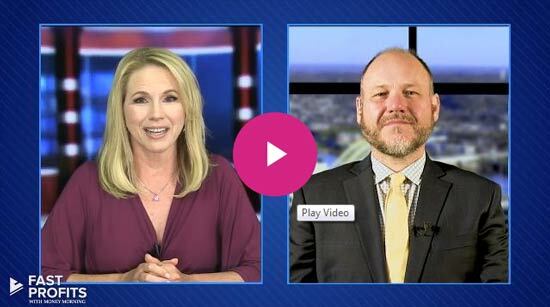 GTN has been in a major expansion that has left it with 92 television stations in 50 markets. In many of its markets, it has the No. 1 or No. 2 position. The shares trade at a price/earnings ratio of roughly 13, much less than Fox Television, which has a P/E of approximately 22. Fitz-Gerald believes if GTN attains 10% of the estimated $18 billion in advertising spending, as its audience reach makes reasonable, and holds its profit margin steady at just over 9%, net income should reach $165 million. That would make its earnings per share (EPS) $1.71. He expects the P/E to expand to 22. The rising P/E, along with the robust EPS, leads to Fitz-Gerald's share price forecast of $56.43. That's a whopping 400% increase from current levels of $11.20. That makes Gray one of the best stocks to buy 2016. Stay abreast of market trends and news every day. Sign up for Money Morning's Private Briefing.